Since Apple launch Xcode 7 and IOS 9.0, they allow you to deploy your apps to your device with just using your Apple ID, no need to pay program membership, and don't need to jailbroken you device. I think this is a very big change, they allow and help us who feel unworthy if we pay $99/year just to learn developing IOS apps. In Xcode, add your Apple ID to Accounts preferences, described in Adding Your Apple ID Account in Xcode. In your project, select your project name to open project properties. Click General, under identity, choose Team property with your name from Team drop down menu. Under Team property, you will see warning “No Matching provisioning profiles found.” and you will see “Fix Issue” Button. Just click that button, Xcode will create a free provisioning profile with your Apple ID and the warning will gone. Choose your RUN Destination to your connected device. 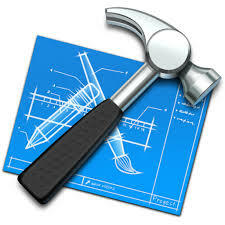 RUN, Xcode install your app to your device. Your device management settings do not allow using apps from developer “iPhone Developer: ” on this iPhone. You can allow using these apps in Settings. In your device, Go to Settings -> General -> Profile, it will show you the list of developers and choose yours. Done, now you can open your apps.